What a day for 2 juniors in British Columbia with game-changing discoveries as GT Gold (GTT, TSX-V) extended its gains from Tuesday while announcing a $5 million financing, while Garibaldi Resources (GGI, TSX-V) exploded out of the teens to its highest level in nearly 3 years on stunning news that there’s strong evidence of a potential corridor prospective for a cluster of Nickel-Copper-rich massive sulphide deposits along at least a 6-km trend in the heart of the prolific Eskay Camp. 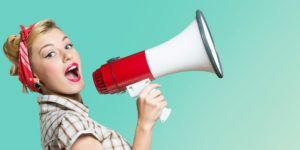 Shareholders of both companies can “shout it out loud” because fundamentals and technicals are strongly supportive of GTT and GGI sparking a level of exploration excitement in B.C. that hasn’t been seen in many years. We’ll review the charts for each in a special subscriber-only piece prior to market open in the morning. GT Gold has drilled into an abundance of high-grade Gold in the Saddle zone of its Tatogga Property 20 km northwest of Red Chris. With numbers like GTT has produced at the outset, such as 13 g/t Au over 10.7 m, 17.4 g/t Au over 9.1 m, 10.7 g/t Au over 9.1 m, 15.3 g/t Au over 8.8 m, and 8.7 g/t Au over 8.5 m, there’s no question this is a significant new high-grade discovery in an important location. The promising Gold-in-soils and rock geochemistry at Saddle South, identified through some very systematic exploration, have been confirmed by the first set of drill results with the mineralized zones displaying good continuity. The high-grade Gold system intersected at Saddle South in multiple holes (20) is wide open along strike (200 m) and to depth (213 m). For many investors as well as geologist Charlie Greig, who signed off on GTT’s Tuesday news release as QP and also plays important roles with Garibaldi, Eskay Mining (ESK, TSX-V) and Colorado Resources (CXO, TSX-V), this is going to be a summer to remember! BMR interviewed Charlie late last year and we’ll have him back again soon to discuss the exciting events at GT Gold’s Tatogga Property. Garibaldi, meanwhile, is ready to take aim at a “bull’s eye” massive sulphide target immediately below known Nickel-Copper-rich mineralized zones at the historic E&L deposit at Nickel Mountain, 11 miles southwest of Eskay Creek. What’s so hugely significant about the E&L is that it’s quickly shaping up to be the most exciting Nickel play in Canada in at least a decade, perhaps since Voisey’s Bay, given how every piece of the puzzle at Nickel Mountain now fits for an expansion of a shallow deposit that Silver Standard Resources (SSO, TSX) first identified through 12 drill holes in the 1960’s. One of those holes (DDH-4–1966) returned 37.8 m grading 1.3% Nickel and 0.79% Cu including 5.9% Nickel and 1.7% Copper over 9 feet near the bottom of the hole around 75 m.
In addition to a plethora of other evidence that the Golden Triangle’s only Nickel-Copper-rich magmatic sulphide system is potentially much larger than anyone originally believed, a strong and broad VTEM conductor begins at a depth of approximately 140 m at the E&L. Significantly, that conductor was given added credence today when GGI announced that another strong conductor 6 km to the northeast has resulted in an important surface discovery of widespread pyrrhotite-chalcopyrite mineralization where no previous exploration had ever occurred. 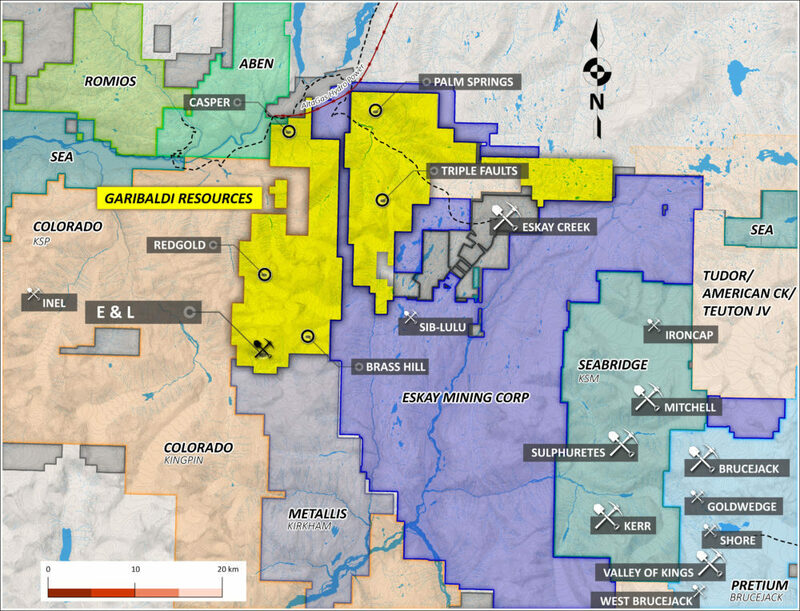 “The mineralized gabbros at ‘Anomaly A’ are visually identical to the mineralized gabbros at the E&L,” Garibaldi confirmed, raising the possibility of multiple E&L’s along a 6-km corridor. 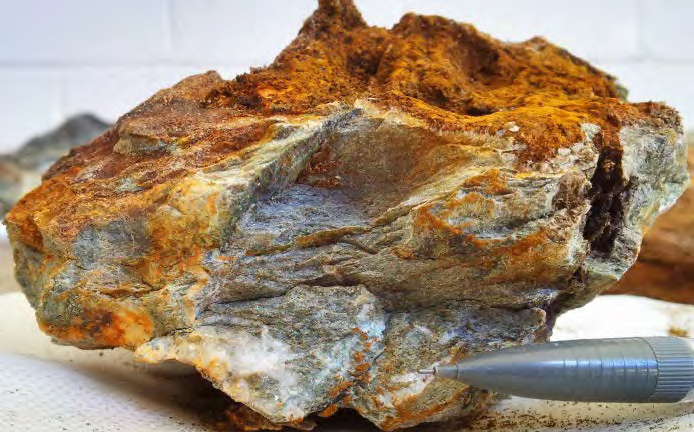 Just one big E&L would be dramatic, but a “cluster” of these deposits is a theory first put forward by Dr. Peter Lightfoot, one of the world’s most renowned Nickel sulphide experts who a few weeks ago went on record as saying the E&L is in the top quartile of early stage Nickel sulphide prospects in the entire world. 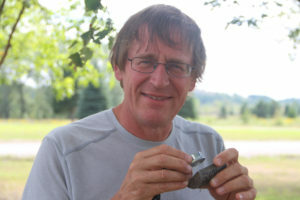 Dr. Lightfoot’s hypothesis is that the Nickel Mountain setting shares similarities to many of the small intrusion orogenic Nickel deposits from Western China such as Karatungk, Huangshandong and Hunagshan – they are all in what’s referred to as “transform faults”. Jinchaun, also part of this belt and one of the world’s largest Nickel sulphide deposits, is perhaps an older equivalent, he believes. In layman’s terms, an orogenic belt is a mountain range formed by compression of 2 plates at a continental margin. Strike-slip faults in the Western China Nickel Belt created open-system magma ‘highways’, resulting in highly efficient accumulations of Nickel sulphides. The same scenario may account for any major Nickel-Copper rich sulphide deposits delineated in the heart of the Eskay Camp at the E&L Project. Garibaldi closed 5.5 cents higher today at 23 cents on total volume (all exchanges) of nearly 2.7 million shares, while GT Gold added 15 cents to finish at $1.15 on total volume (all exchanges) of 2.4 million shares. Check back in the morning for additional coverage of both companies. Note: John, Jon and Daniel hold share positions in GGI. Jon also holds share positions in CXO, ESK and GTT. Have you heard anything from Lightfoot regarding the Q anomaly and where it fits in to what they now know? Maybe that info is coming in a future NR? Here is the 2007 Noront discovery hole which propelled Noront from $.20 to over 7 dollars. The discovery hole #1 assayed 36 metres of 1.84% nickel, 1.53% copper, 1.14 g/t platinum, 3.49 g/t palladium, 0.13 g/t gold and 4.8 g/t gold. The initial assay was for nickel and copper and sent the stock to 4 dollars. The next assay on the same core for platinum, palladium and gold sent Noront to 7 dollars plus. They were talking about another Voisey’s Bay. But Noront fizzled because there was no tonnage. Could GGI have another Voisey’s Bay? Who knows what is under the E&L but if drill assays return numbers like Noronts’ plus economic tonnage could we see $4? maybe $7? Yes, maybe. Factor in a string of similar economic deposits to E&L (if drilling confirms) and then I think we will be looking at $7 in the rearview mirror. Nice to finally have an emerging big dream lottery ticket that might just payoff with spectacular gains that will ingnite the junior resource market and make many of us very wealthy. That’s another part of the “blue sky’, Gregh, as this system now appears very pregnant. Geophysicists and geos are fascinated with that area to the south and are going to carry out more work while first taking care of the obvious necessary drilling directly across the historic mineralized zones into Conductor D. So much going on here it’s unbelievable, but fortunately you’ve got some of the very best in the Nickel business to pull this all together.